We all know how great Collingwood's midfield is, but their underrated back line won them an Anzac Day thriller and can take the Magpies all the way in season 2019. What a classic! 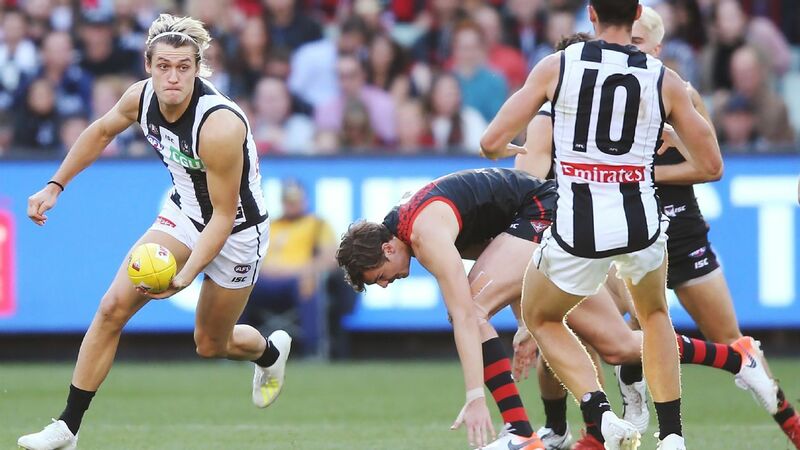 Collingwood prevails by four points on Anzac Day. They had earlier lead by 33, but a great second half response from Essendon made for a gripping final term. Scott Pendlebury starred all afternoon for the Pies and was sensational in the last, keeping composed and guiding his team to victory. W2W4: Have the Crows rediscovered their forward line magic? Why a Daniher-Moore matchup could decide Anzac Day, have the Crows worked out their attacking mix and will the Blues avoid a post-win letdown? Here's What To Watch For in Round 6. Melbourne's disastrous AFL season has reached crisis point after Richmond scored a 43-point win in their Anzac Day eve clash at the MCG. Our AFL experts dissect all of the main talking points ahead of Round 6, including who is the recruit of the year, Chris Scott's use of Patrick Dangerfield, the rise of the Queensland teams and we weigh-in on the Harry McKay vs. Charlie Curnow debate. PODCAST: Do shorter breaks really matter? Collingwood and West Coast are two of the best best of Round 6, but there's plenty of value elsewhere thanks to our friends at tab.com.au. Despite suffering hefty back-to-back defeats, Lachie Neale says he would have happily taken a 3-2 record after five games if offered to Brisbane at the start of the season. On this week's podcast, we debate whether or not you can drop a captain, while Christian Joly from Champion Data breaks down scoring from turnovers and explains just what a clanger is. Gary Ablett and Gary Rohan have shared seven goals as Geelong downed Hawthorn by 23 points at the MCG on Easter Monday.